This self-made design is printed with eco-friendly UV inks on 100% recyclable and biodegradable TPE material. 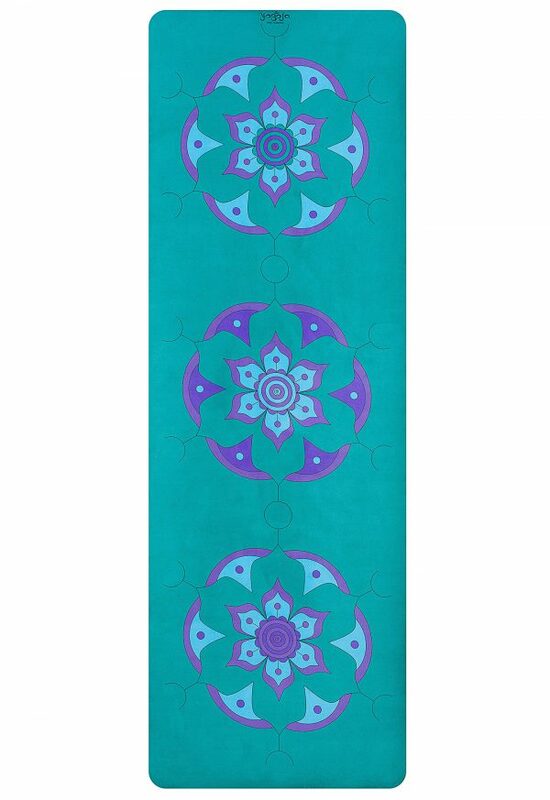 Due to surface patterns, the purple yoga mat offers high-grip-performance. With its closed cell technology, it is waterproof and bacteria repellent. It is free of PVC, latex, toxic and poisonous phthalates. 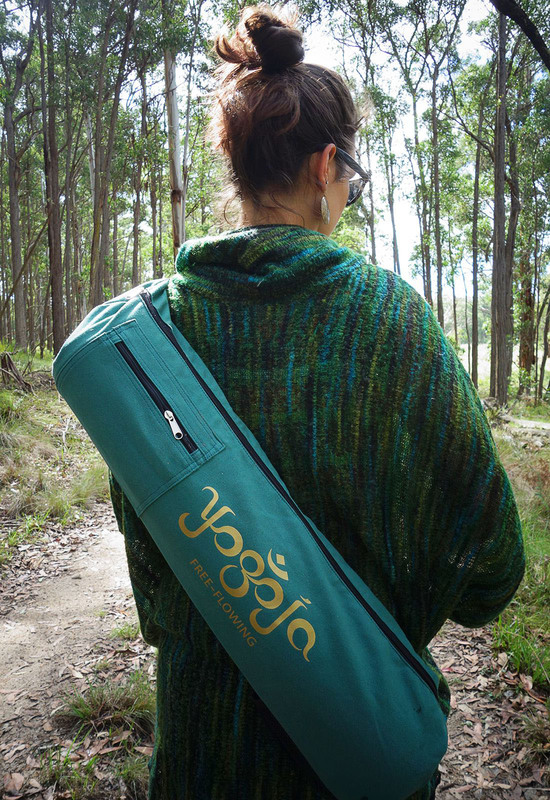 Perfect for travelling, as the mat is very light, it comes with its own free yoga bag in turquoise. 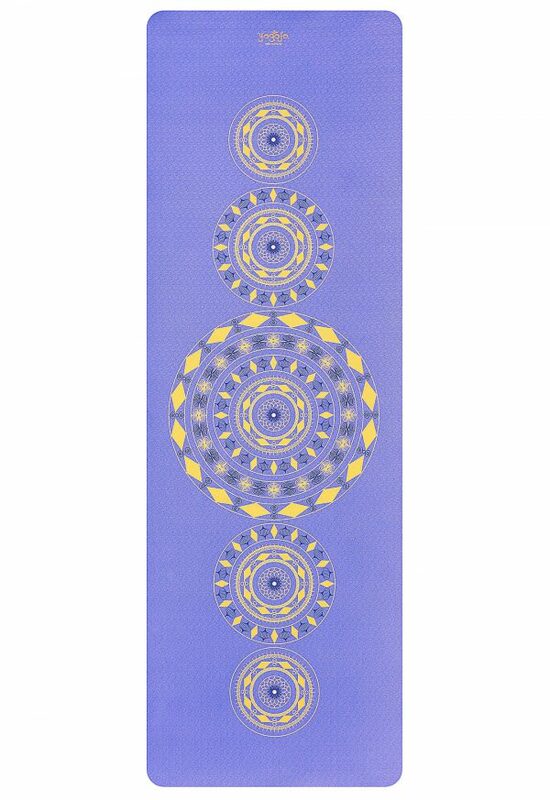 Our Mandala Yoga Mat is designed in Purple, Yellow and Indigo. 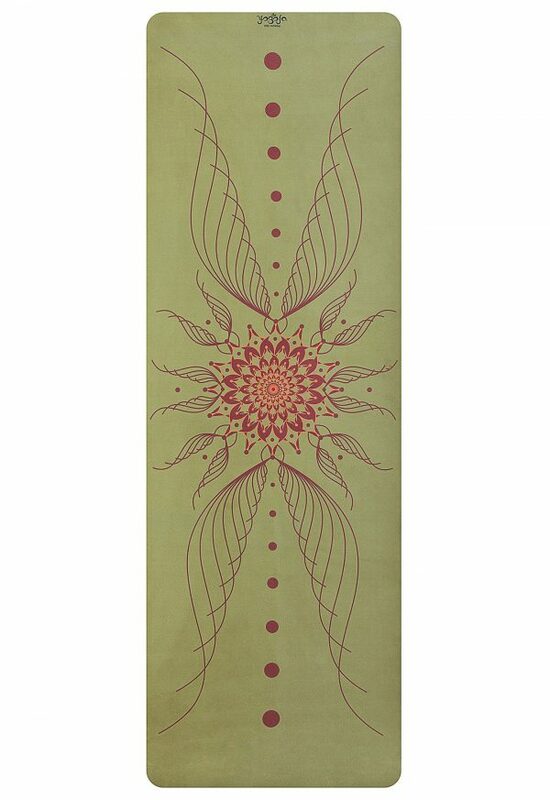 This design is perfect for everyone wanting to cool down, have a think and come back more alive. 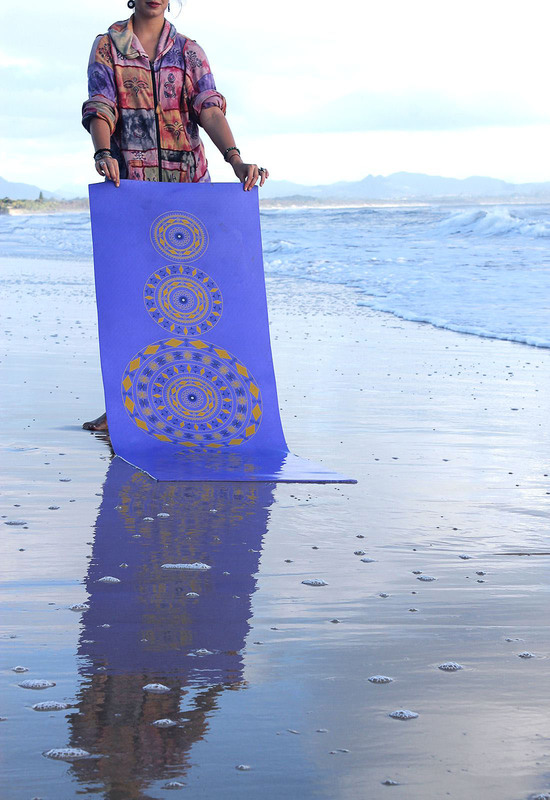 Purple is a purifying colour and helps with releasing tension. It stimulates creativity. As a result, Purple aids self respect and reflection. Yellow and Indigo have the capability to decrease fear. As the colour of the sun, yellow functions uplifting and curative for emotional pain nurturing optimism and happiness. 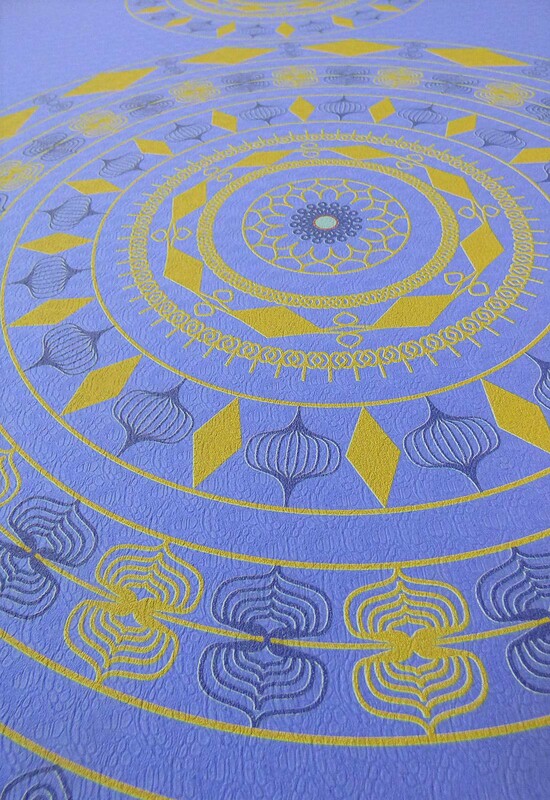 Indigo boosts emotional peace, reflection and inner silence. Thermoplastic Elastomers (TPE is a newly developed ‘good’ plastic which is 100% recyclable and biodegradable. It is much lighter then rubber and more eco-friendly and skin-friendly then PVC). 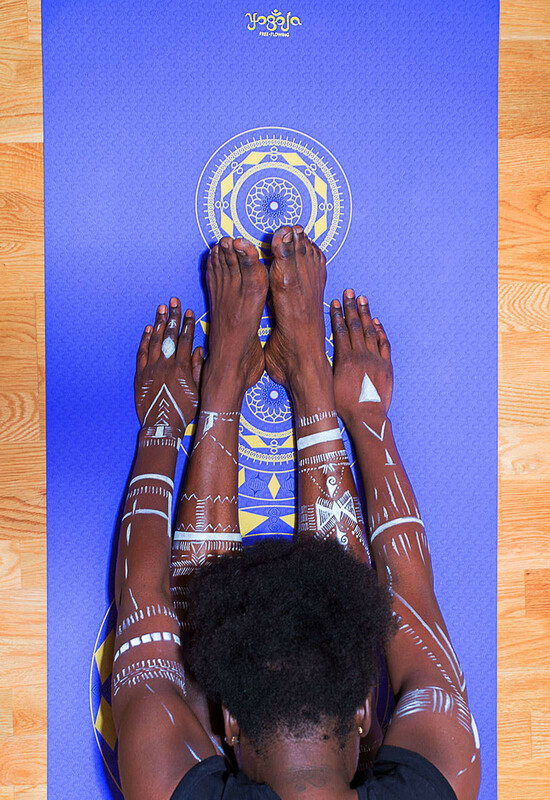 The Care: Wipe the mat carefully with laundry powder and water (use cloth) OR soak yoga mat in bath tub with warm water and white vinegar (50 to 200ml) for 30 minutes then rinse with water and hang to dry. 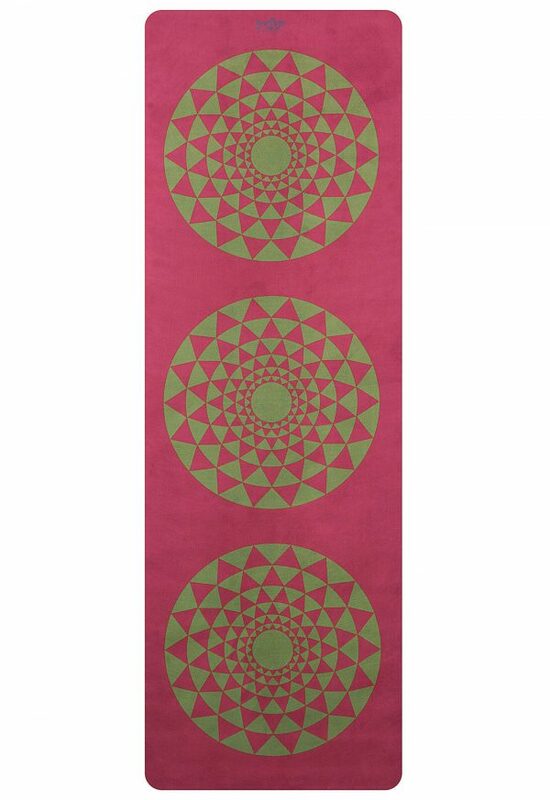 Please never put your mat in the washing machine, dryer or under the blazing sun. 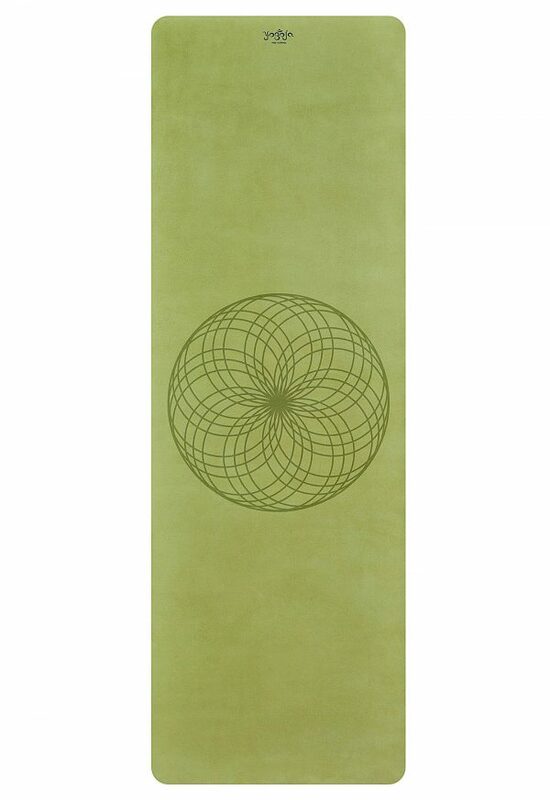 The UV-Printed elastic ink is resistant however it is recommended to use the mat for slower Yoga styles, stretching, mediation and Pilates.